The Intern. The errand-runner. The coffee-fetcher. 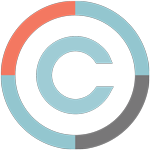 The copy-maker. The clichés about typical intern tasks can be endless. Yet I was fortunate enough to have landed an internship that not once asked me to get coffee, drop off mail or make 500+ copies. Instead, Cowley and Associates allowed me to truly dive into the field of marketing and have a real purpose within the company. My unique opportunity to do both a Strategic and Graphic Design internship allowed me to better not only my Competitive Research Analysis skills, but also my Adobe skills and creative eye. As anyone in the industry will tell you, marketing is fast paced and ever changing. One of my favorite professors once mentioned to me that my ability to keep up with change is what will set me apart in this field. Never has that become more apparent than at my time spent with Cowley. I’ve witnessed the constant flux of clients’ demands, internal opinions, current event influencers, new software and numerous other facets that all have vast impacts on most campaigns. Each team member here exemplified how to handle continuously changing situations, while still maintaining good communication and trust with the client. Coming into this experience, I didn’t expect that I would walk away having had the opportunity to meet clients, sit in on meetings, and see my work be utilized. Nothing I could learn in a classroom during my college education could have provided me with the same valuable hands on experiences and lessons I learned during this internship. I am so thankful for the opportunity I had and the welcoming people here who made me feel integrated since my first day. 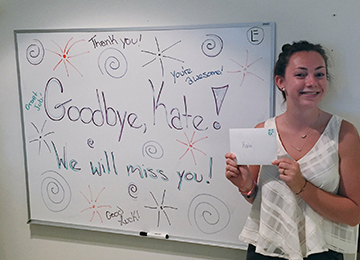 Since Kate's departure, we are seeking a new intern! If you are interested in interning for Cowley Associates, please review the various positions available for job details and how to apply. Sign up here to get our monthly newsletter and blog updates. Sorry for the quiz. Just making sure you're a human. Three tricks to improve your ad agency's performance AND save $! Are You Putting Your Best Homepage Forward? Interested In Improving Your sales?